Frazier Othel Thompson was born on 3 July 1980, in Houston, Texas USA. Known by his professional name Trae tha Truth or just Trae, he is a recording artist, a member of the hip hop groups Screwed Up Click and ABN, and a co-founding member of the group Guerilla Maab. A famous rapper, how rich is Trae tha Truth? Sources state that Trae’s net worth reaches $400,000, as of mid-2016. His wealth has been established through his involvement in the rap music genre. Trae grew up in southwest Houston, but little is known of his early life until he started his rap career in 1998, appearing as a guest rapper on Z-RO’s album “Look What You Did to Me”. Since then, the two rappers have collaborated on numerous projects and have regularly appeared on each other’s albums. They created a duo called ABN (Assholes by Nature), and in 2003 released their first, self-titled album, but the same year Trae began his solo career, releasing his album “Losing Composure” – these provided the basis to his net worth. In the next four years Trae released three more albums, “Same Thing Different Day”, “Restless” and “Life Goes On”, and in 2008 a fifth album called “The Beginning”, while his ABN group released its second album called “It Is What It Is”. In 2011 Trae released his sixth album called “Street King”, and his most recent albums were the 2015 “Tha Truth” and the 2016 “Tha Truth Pt.2”. In the meantime, he has released numerous mixtapes, such as “Return of the Streets”, “Later Dayz”, “Tha Truth Show”, “I Am Houston”, “Trae Day”, “Traebute”, “I Am King” and many others. His devotion to rap music has enabled the rapper to gain high popularity among fans from around the world and has considerably added to his net worth. 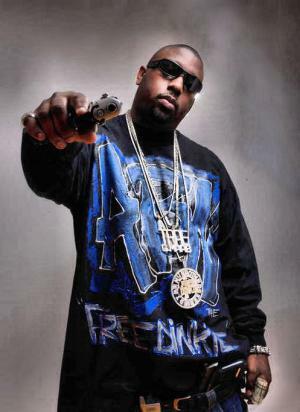 Trae has been a member of Houston rap group called Guerilla Maab, along with rappers Z-Ro, Dougie D. and T.A.Z; the group has released four studio albums, the 1999 “Rise”, the 2000 “In The Midst Of Guerillas”, the 2002 “Resurrection” and the 2003 “Year of the Underdawgs”, which have added somewhat to his net worth. Trae has also been a member of another Houston rap collective called Screwd Up Click, along with the late rappers DJ Screw and Fat Pat, and also Big Hawk, Big Moe, Big Mello, Big Pokey, Lil’ Keke, Lil’ O, Botany Boyz, E.S.G. and many others. He has also collaborated with numerous other groups and rappers, such as S.L.A.B., Chamillionaire, T.I., Lil Wayne, Wiz Khalifa, Slim Thug, etc. In 2012 Trae signed with T.I.’s label Grand Hustle Records, and has since been working on his album “Banned”. Currently, Trae hosts Banned Radio on Xxl on Dash Radio. In his personal life, there is no information known to the public as to whether Trae has been married; reportedly, he has a son Jared who is also a rapper. Trae received a very special honor from former Mayor of Houston Bill White in 2008, who recognized the rapper’s work within the community and rewarded him with his own holiday called Trae Day, making him the first rapper to be honored in such a way. Trae has since turned the holiday into a community celebration, at which he provides various materials to Houston children, such as clothing, school supplies, medical and entertainment material, all of which are self-funded. The rapper also founded a non-profit organization called ABN (Angel By Nature), which opened a children’s emergency shelter in Houston in 2011. Trae has been involved in a number of controversies. At the 2008 Ozone Awards he got into a fight with rapper Mike Jones, for which he later apologized. The following year, after an annual Trae Day had ended, eight people were shot at the Texas Southern University campus. Announcing on Texas radio station KBXX that he did not condone the shooting, a member of the radio crew accused him, asserting that his music played a role in causing violence at the festival. This resulted in Trae’s retaliating against the woman in one of his mixtapes, which led KBXX to ban his music from their station. The rapper later filed a lawsuit against the radio, as the ban prevented him from promoting his music and thus harmed his career. Three years later, Trae was shot in shoulder after a performance in a Houston club. Three people who were surrounding him died, including his friend Dinky D; a suspect has been charged with the murders. Music Groups Assholes By Nature (Since 2003), "Screwed Up Click", Southern hip hop duo "ABN", "Guerilla Maab"